We will practice meditation and discuss Early Buddhist Texts. To get additional information and register for the retreat send an email to: moc.liamg|lp.adavareht#moc.liamg|lp.adavareht. The cost of the accomodation and food will depend on type of accomodation you will choose in the center: www.centrumtaraska.pl/english Options start at already app. 80 EUR for 5 days. We start at 10 am on Wednesday and end at 6pm on Sunday. If you need additional accommodation before or after the retreat, this can be arranged directly with the retreat center. We will collect donations for Ajahn Sujato transport and accommodation as well as SuttaCentral project. 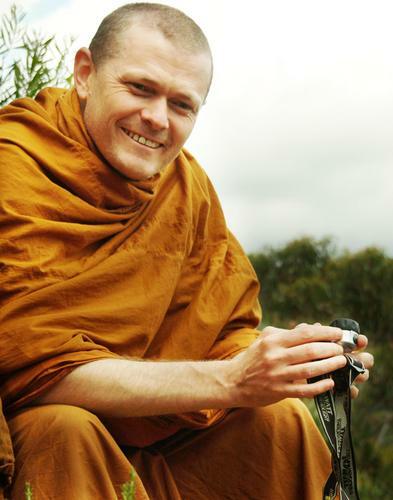 Ajahn Sujato, an Australian Buddhist monk from the Thai Forest tradition. He was the Abbot of Santi Forest Monastery in the Southern Highlands of New South Wales for 10 years. Bhante Sujato is a Pali scholar and a highly respected meditation teacher. He brings a rare combination of humour, compassion and deep knowledge to his teachings which show us how to live our busy lives within core Buddhist principles. Bhante Sujato’s writings are available at www.santipada.org or at his blog: sujato.wordpress.com. Currently there are no monks, nor any lay teachers of the Theravāda Buddhist tradition residing in Poland. For those interested in a regular contact with competent teachers, and thus motivated to start practice under their guidance, the Foundation is going to invite monks and lay teachers from centres and monasteries abroad. Based on the type of interest, and our capabilities, the visits may take form of public Dhamma talks, discussions, meditation courses or retreats. To achieve this, the Theravāda Foundation in Poland is planning to establish co-operation with foreign centres and teachers, based on the level of interest. We will measure that level mainly by the number of downloaded publications of said teachers from the Sasana.pl website.